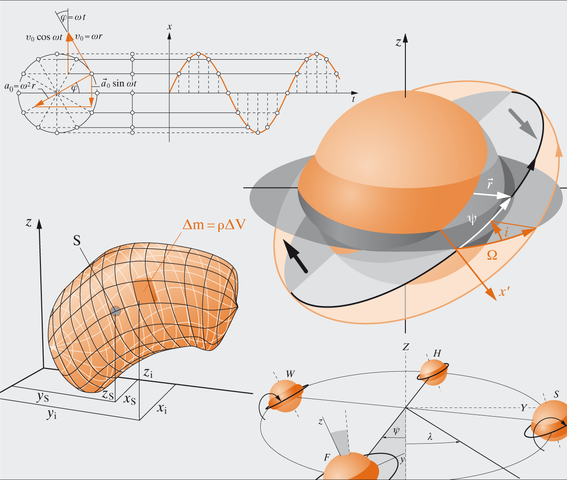 Ever since Christian Gerthsen published the first edition of his physics text book in 1948, “the Gerthsen” has been an invaluable companion to whole generations of physics students studying the subject at major, minor, basic, advanced, or degree level. The latest edition, the 24th, has been graphically redesigned and typeset by le-tex, with production editing support. The image processing department was assigned the task of adapting all 1,400 illustrations to the new layout and creating numerous new and sometimes very complex drawings. Converting the RGB master illustrations, the color of which was reduced to black and one Pantone color without any loss of information, was particularly challenging. Visualizing complex technical interrelationships in the field of natural science and maintaining a clear and consistent design concept are among the particular strengths of the le-tex graphic design team.